In bisaya english dictionary, "dagsa" is "driftage \driftwood \flotsam that are washed ashore". See more translations below. If you know something about this term, share it here. Many people are also searching for information about dagsa. Help them find it, make them happy. 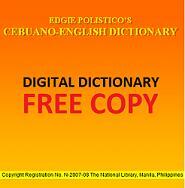 Bisaya English Translations and Dictionary. What is the definition of dagsa? In bisaya english dictionary, "dagsa" is "driftage \driftwood \flotsam that are washed ashore". See more translations below.